Michael Keaton has already cemented his place in superhero movie history playing Batman in 1989’s Batman and 1992’s Batman Returns, a.k.a. the Tim Burton-directed features. He could have been content with this contribution to DC’s cinematic endeavors, but last month, it was reported that he was in talks to join Spider-Man: Homecoming as its main villain. A week later, we learned that he wouldn’t be part of the project, but now it looks like the Spotlight star may be jumping back into the Web Slinger’s first solo MCU adventure. Despite the previous talks breaking down, Variety has learned that Michael Keaton is closing a new deal that will see him playing Spider-Man: Homecoming’s antagonist. Although the movie’s producers looked at other actors following the initial Keaton discussion, they went back to him, and the negotiations seem to be going better this time. Should Keaton join the cast, he’ll be acting alongside Tom Holland as Peter Parker/Spider-Man; Marisa Tomei as Aunt May, Zendaya as "Michelle," and Robert Downey Jr as Tony Stark/Iron Man. Laura Harrier and Tony Revolori have also joined as unidentified characters. While the prospect of seeing Michael Keaton in Spider-Man: Homecoming is exciting, it still hasn’t been revealed in these reports which villain he would play. However, right before the initial Keaton casting news hit, it was rumored that The Vulture would appear, though not necessarily as the movie’s main dastardly figure. Since then, there have been other rumors about how Vulture will be included, so right now, he’s the strongest candidate as the movie’s super villain. Vulture was originally supposed to be played by John Malkovich in Sam Raimi’s Spider-Man 4, but as we all know, that production fell through. Vulture’s wings were also shown in The Amazing Spider-Man 2, but that continuity was also scrapped following Sony and Marvel’s deal. 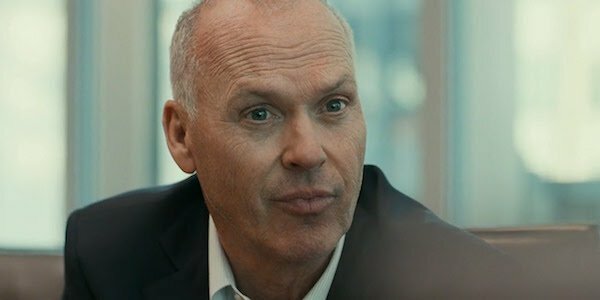 If this news didn't pique your interest enough, Spider-Man: Homecoming's director Jon Watts also tweeted out this gif of Michael Keaton later in the day, perhaps hinting at his involvement. While Michael Keaton will arguably always be best known in the geek community as Batman, having him in Spider-Man: Homecoming would nevertheless be a great project for him to join. He got to play the hero decades ago, now he gets to sink his teeth into a villain. If he is indeed Vulture, not only does he physically resemble the character when bald, but he has the right kind of gravitas to make the character intimidating. Although Spider-Man has been active for a little bit in the MCU (*cough* Captain America: Civil War), he has yet to face a super villain on his own, and Keaton as Vulture would make a cool first opponent. That said, having him play a winged foe after poking fun at his superhero movie career in Birdman is on the nose, but we’ll move past it.